When a career change relocated Sweet Farm co-founders, Anna Sweet & Nate Salpeter, from Seattle to the Bay Area - they fulfilled their dream of buying land and dedicating it to the pursuit of ending inhumane factory farming practices. Both long time animal advocates and volunteers at local rescues, they wanted to find a way to maximize their impact and educate people on how to live more humane and sustainable lives. The couple still works full time in tech, but dedicates evenings and weekends to working with the animals of Sweet Farm and helping spread our message. Sandra, born and raised in the Bay Area, has played an active role in the non-profit world. She was a Volunteer Coordinator for an LGBTQ Community Center in San Jose and a Fundraising Coordinator for an Outrigger Canoe Club in Northern California. She currently works as a Project Manager for a privately held Staffing Firm in the Silicon Valley. Sandra hopes that her vast background can help Sweet Farm with educating the world about animal welfare and how making small changes in your life can make big impacts in the lives of animals! Kristina has been active in the animal sheltering world for almost twenty years in California, Texas, Virginia, New York and Washington, DC. She began her career in animal welfare as an emergency dispatcher for animal control in Washington, DC, and soon after merged her love of animals and passion for veganism as an animal caregiver at Farm Sanctuary in Watkins Glen, NY. A native of California, Kristina completed her undergraduate studies in the East Bay and received a Master’s degree in sociology from Texas Woman’s University. Jon is Director of Engineering for Omni, an on-demand storage start-up in San Francisco, CA. Jon's passion for technology has combined with his passion for animals and the outdoors, with his role on the Sweet Farm board. Jon spends too many hours tinkering with new technology to help further the cause of helping farm animals. Ken has worked in telecommunications, computer simulation, and CAD prosthetics, before combining his passion for both technology and art to help start Valve, a popular video game company in 1996. 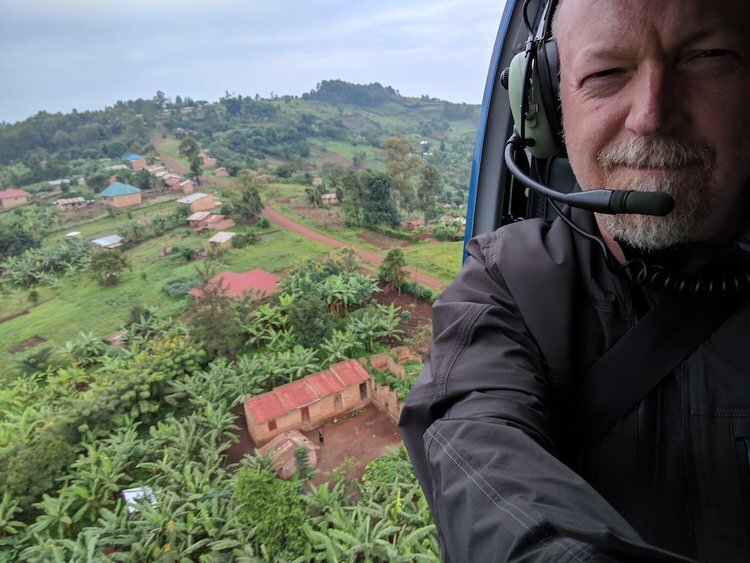 Retiring after 20 years, Ken is an avid traveler and has been active in the non-profit world since 1992, both as volunteer, board member, and active donor. Founder of Magic Cabinet Foundation in 2011, an experimental 509(a)(3) organization, Ken is dedicated to finding new ways of transforming lives, and transforming the world of philanthropy. Penny worked in the animal welfare field for over 42 years before retiring to a quiet spot along the coast. Penny’s long career includes working directly in animal shelters and as a consultant with the Humane Society of the United States. As a nationally recognized expert in shelter operations her training workshops helped shelters of all sizes across the country better meet the physical and emotional needs of the animals and the shelter staff who cared for them. Volunteering with Sweet Farm is a natural fit for her administrative skills and her passion for animals. Penny and her dog Morgan are avid runners along the coast and her two cats are avid couch potatoes. Born in France, Isabelle came to Silicon Valley for her software engineering career. After 20 years in high-tech, she left the corporate world to save chickens. 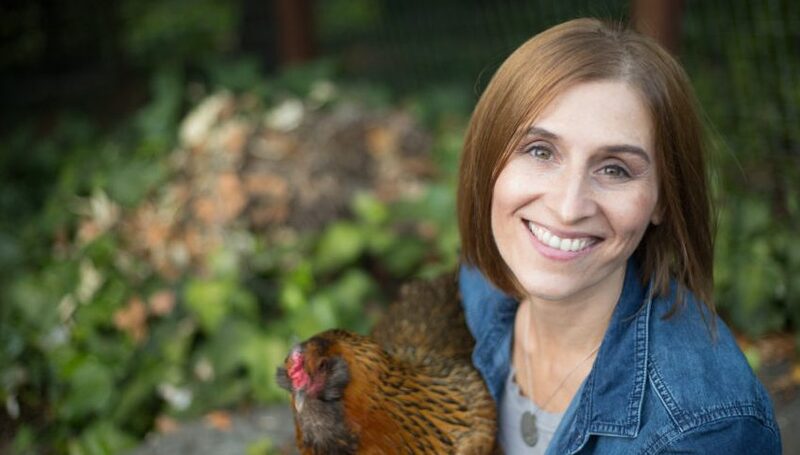 Isabelle founded Clorofil, a 501(c)(3) nonprofit focusing on educating people on chicken care and growing awareness about farmed animals. She participated in the rescue and rehabilitation of several thousand hens from egg factories. She is also a Master Gardener and loves to cook. 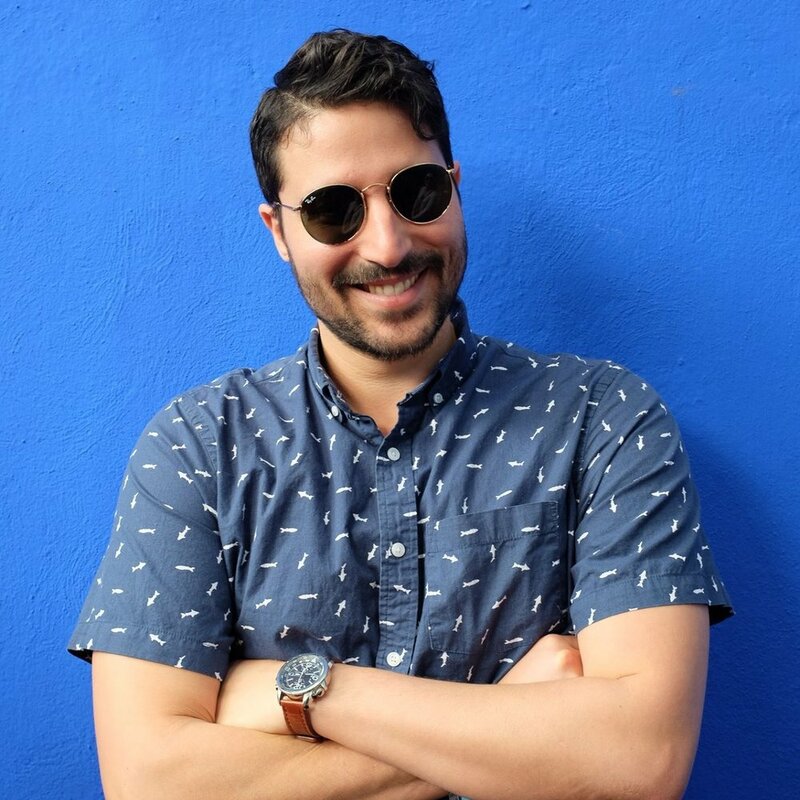 As Senior Vice President of Interactive Ventures & Games at Lionsgate, Daniel’s role includes strategic planning, business development as well as production and creative oversight of the Company’s multi-platform games and interactive slate. The division’s portfolio of activities include over 20 games, a number of strategic investments, a robust presence in esports and acquisitions of iconic video game properties to be adapted into film and television. An avid supporter of animals, Daniel has been passionate about Sweet Farm since Anna and Nate first started on their mission. Even before joining the board he was a regular visitor and helped in fundraising efforts. Jeff is a Northern California native, having grown up in Napa Valley where he lived and worked on vineyards with his family. It was through this experience that Jeff developed an early passion for sustainable farming and a love for animals. He went on to obtain a B.S. in Environmental Studies and a B.A. in International Relations from the University of Southern California. He holds a J.D. from Emory University, where he was active in several pro bono programs, including the Turner Environmental Clinic. Jeff is now senior counsel at a major technology company, where he focuses on intellectual property and helps lead the pro bono program. 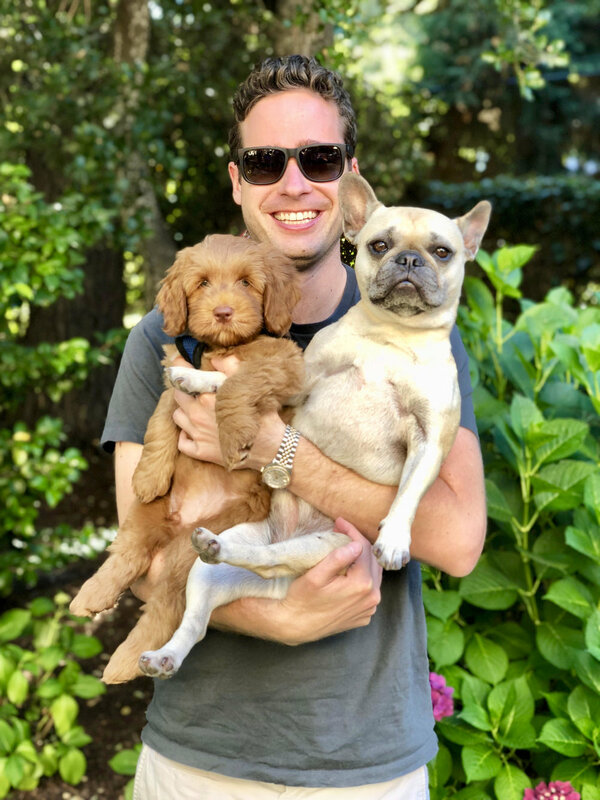 Jeff lives in San Carlos with his husband, son, and puppy Cleo. Kristie Middleton is the author of MeatLess: Transform the Way You Eat and Live—One Meal at a Time. During her time with The Humane Society of the United States, Kristie worked with some of the nation’s largest school districts—including Los Angeles Unified School District, Detroit Public Schools, and Boston Public Schools—as well as dozens of hospitals and colleges to implement healthier eating programs. She completed a certificate in Plant-Based Nutrition from T. Colin Campbell Center for Nutrition Studies in August 2014. She is now the Vice President Of Business Development at Seattle Food Tech. A commercial winemaker by trade and long time animal lover, Catrina has significant experience running day to day operations among teams on farms of various sizes. She especially loves black cats, responsible farming and consumption, and sunshine. Catrina hopes Sweet Farm can help to educate folks on the small changes they can make in their diet to make significant impact. Bunny Rosenberg is the Director of Community Engagement at Muttville Senior Dog Rescue in San Francisco, California. In this role, she oversees the volunteer program and sends dogs into temporary foster homes while they await adoption.Prior to Muttville, Bunny worked as a Media Curation Analyst for JPMorgan Chase & Co. While working there in 2012. She was recently re-appointed as a Commissioner on the Commission of Animal Control and Welfare in San Francisco.